Sarah, aged 35 came to see me with a range of distressing digestive problems she had been experiencing for over 3 years. 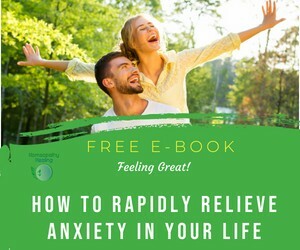 This included painful bloating, abdominal pain, weight gain and acid reflux. The bloating would get so bad she looked pregnant and none of her clothes would fit her. She felt like she had been pumped up with air constantly and it would get worse immediately after eating. She likened it to eating a Christmas dinner for every meal, every day. Her abdomen was tender, she had a constant dull pain, at times noticed gurgling and had nausea with certain foods. She also had very low energy, was tired constantly, suffered from sinus problems, had headaches, her hair was thinning, she had dry skin and felt stressed by it all. She use to be upbeat, easy going and optimistic but her poor health was really getting her down. She had tried everything. She had done all sorts of allergy and food intolerance tests, seen numerous specialists, removed wheat and eggs amongst many other foods from her diet, but the symptoms continued. She just wanted to be pain free, eat normally and stop feeling so desperate. She also wanted someone to treat her holistically rather than looking at each problem in isolation. After taking a detailed case and understanding how these issues were affecting Sarah, I prescribed remedies specific to her needs and we did a follow up shortly afterwards. Within 20 days Sarah was delighted with the changes that had taken place. My stomach has felt flatter. I can feel I have abs again. There is a huge difference in how I feel in 20 days. I now fit into most of my old jeans and I’ve already lost 7 lb! I use to have postnasal drip too. That has stopped within 2 days of taking the remedy. Before I couldn’t relax unless everything was clean and tidy and in order. Now I’m relaxing on all that stuff but I’m still efficient. The emotional change has been quite dramatic I felt back to myself, my personality. I felt like me again”. 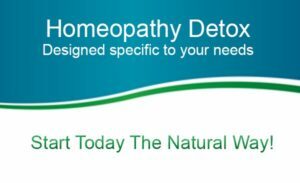 “It has been 3 months since I’ve started using homeopathic remedies and my quality of life has changed significantly for the better. My main issues were bloating, heartburn, reflux, recurring sinus infections, fatigue and sudden weight gain. I reduced the foods causing inflammation as outlined by my medical allergist but the symptoms didn’t go away. Eileen advised me to keep good notes on my symptoms daily to see how the remedies were going. My bloating has reduced hugely. Within 20 days I fitted into most of my old jeans and I’d already lost half a stone. I used to experience bad heartburn every night. The pain was so bad my boyfriend had to wind me like a baby with colic for up to 30 minutes most nights. The medical allergist determined that egg whites were to blame but the symptoms were still present 3/4 nights per week, despite eliminating eggs from my diet. Eileen found a remedy that suited me perfectly and I now only experience heartburn once a week and I’m improving every day. My sinus issues and post nasal drip cleared up within 2 days of taking the remedy also. I didn’t realise how much stress I was under and my old easy going personality has returned. My reactions to stressful situations were disproportionate to what was going on and I’m now handling everyday stress and really stressful situations like moving house with ease. I recently did a presentation at work and didn’t think twice about it. I would have experienced a significant amount of anxiety about such events before. My energy is back to normal now and I’m no longer falling asleep on the couch at 8.30pm.